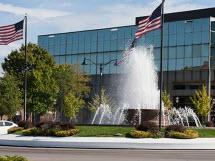 The law firm of Courtney ∙ Clark Law, P.C., is located in downtown Belleville, Illinois. The firm provides services to individual clients, small businesses, corporations and municipalities located in the Southern Illinois region. Our firm concentrates its efforts primarily in litigation practice in diverse areas of the law including bankruptcy representation for both consumers and creditors, family law, divorce and custody actions, personal injury litigation, criminal matters, including felonies, misdemeanor matters, traffic tickets and DUIs, elder law and municipal law. The firm has over 50 years of combined experience and expertise in the practice of law. Litigation in this era requires patience and attention to detail. The firm, through its highly trained staff and its access to state-of-the-art equipment and software provides exceptional representation to its clients. All of the attorneys in the firm are required to attend regular continuing legal education seminars to improve their skills in all areas of practice. All of these factors combined insure the best possible results for clients in all areas. Courtney, Clark & Associates, P.C. Monday-Friday 8:30-4:30. May have evening and weekend appointments available.